Surprise: create your team in Italy Fantasy! We like our service to be better every year and to get closer to our purpose: to make this the biggest global fantasy platform! With that in mind, after the agreement with Liga Portugal to launch the official Liga NOS fantasy league, we felt it was the right time to extend our reach to Italy… we kind of hitch-hiked in one of Ronaldo’s luxury rides. 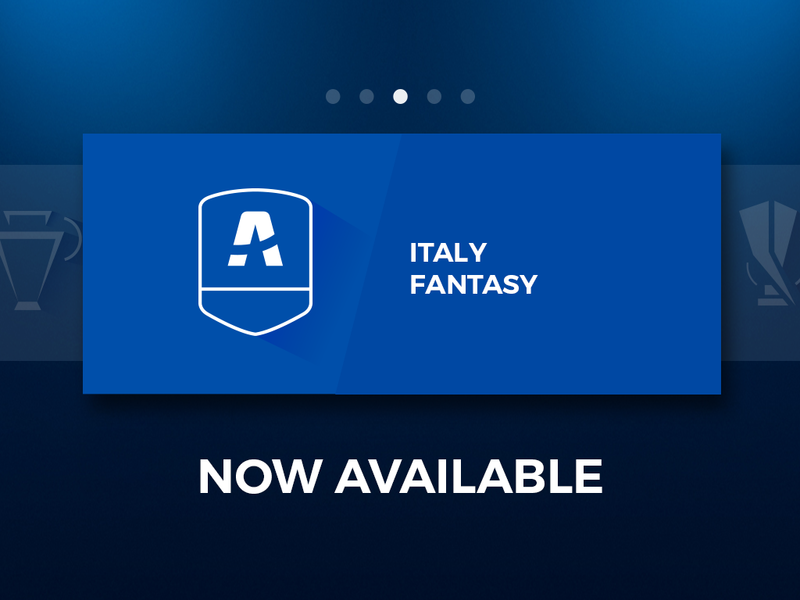 So here it is: Italy Fantasy is open and you can create your team now. The real-life competition is already underway, and this can be an advantage: you can check who are every team’s starters and who is leaving their mark on the pitch. Because of this, we will let our users take their time to evaluate the data and gather all the info you need: Italy Fantasy will only start on GameWeek 4, on Sempter 14. Until then, you can create your teams (up to five) and invite your friends for a Private League. And, of course, Italy Fantasy will also come with Draft Mode available. Don’t waste more time, go check each of the 20 teams in the Italian League: what they did until now, their schedule for the next GameWeeks and the players you’ll want in your team. There are plenty to pick from and the decisions won’t be easy! To join click here. And, of course, Italy Fantasy will also come with Draft Mode available.